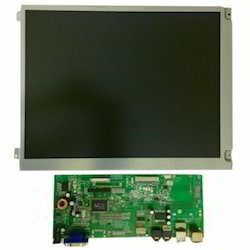 We offer premium quality of 5.6 TFT with A/d Card display facility. Sourced from reliable vendors our TFT is ideal for various applications in areas such as marine industries, instrumentation, kiosk applications and other communication purposes. The TFT open frame display is appreciated for its versatile features including high speed capability and crisp color display. 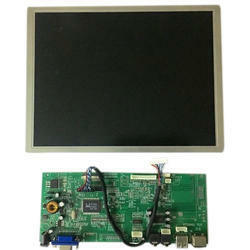 We supply optimum quality 12 INCH TFT with A/D Card facility which is procured from established vendors across the world. 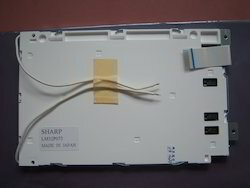 Our auto display cards find its applications in medical instruments, for various communication process and other areas. 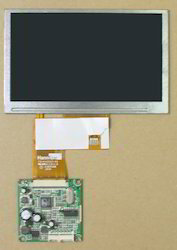 Our TFT auto display cards offer high contrast and wide viewing angle which ensures excellent readability. Further, high color saturation and high contrast level allows the display card efficient functionality in industrial applications. Screen Size: less than 16"
Our optimum quality of 10.4 TFT with A/D Card offers high speed multimedia capability, high pixel density and color saturation that enhances its application in assortment of areas including medical, kiosks and other areas where communication is through TFT. 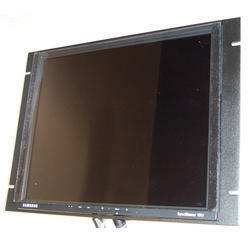 We also offer old discontinued TFT and LCD of any brand.